South Korean mobile phone maker Samsung has been recently rumored to plan the release of a new device in its popular Galaxy Ace lineup, the third such handset in the series, and some more details on the matter are now available. The handset has just made an appearance on GLBenchmark’s website, which confirms that it should pack a 1GHz dual-core processor inside, along with a VideoCore IV GPU, the same as inside Galaxy S2 Plus, SamMobile notes. 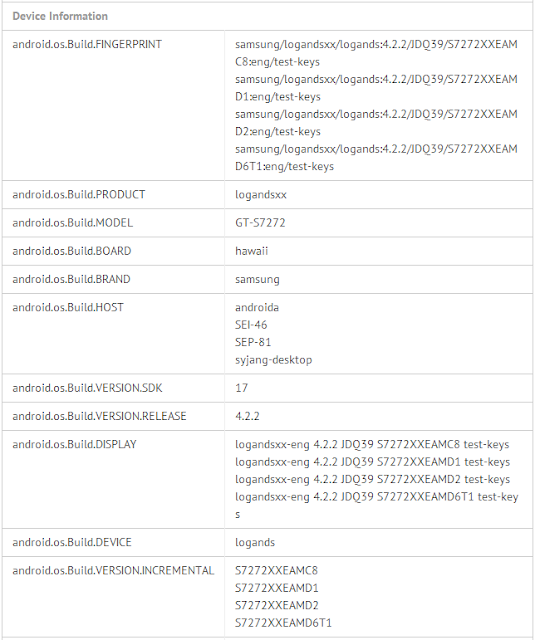 The listing on the benchmark website also shows that the device sports model number GT-S7272, and that it will hit shelves with Google’s Android 4.2.2 Jelly Bean operating system on it, as thedroidguy reports. Furthermore, the mobile phone is said to pack a 4-inch touchscreen display that can deliver a 480 x 800 pixel (WVGA) resolution, and to sport the Samsung Nature UX loaded on top of Android. The specs list of the smartphone is also said to include a 5-megapixel photo snapper, with support for 720p video recording, as well as a microSD memory card slot, to enable users to add some more storage space to it, should they need it. Galaxy Ace 3 will include NFC capabilities as well, and might even arrive on shelves in a dual-SIM flavor, although nothing has been specifically confirmed on the matter for the time being. The same as other devices in Samsung’s Galaxy Ace series, the smartphone will be a mid-range device, though it will still be able to deliver a great experience to those who choose to purchase it. Previously, the phone was rumored to arrive on shelves with a price tag of around €300 in Europe, though an official confirmation on this has yet to emerge. By the looks of it, however, it might not be too long before Samsung formally introduces the new Galaxy Ace 3, so stay tuned to learn additional details on the matter.